New month, new statistics of the Android Distribution. Today, new Android Distribution numbers came for February 2017. According to the chart, Nougat hoped at 1.2%, up from it's the last time on the chart of 0.4%. 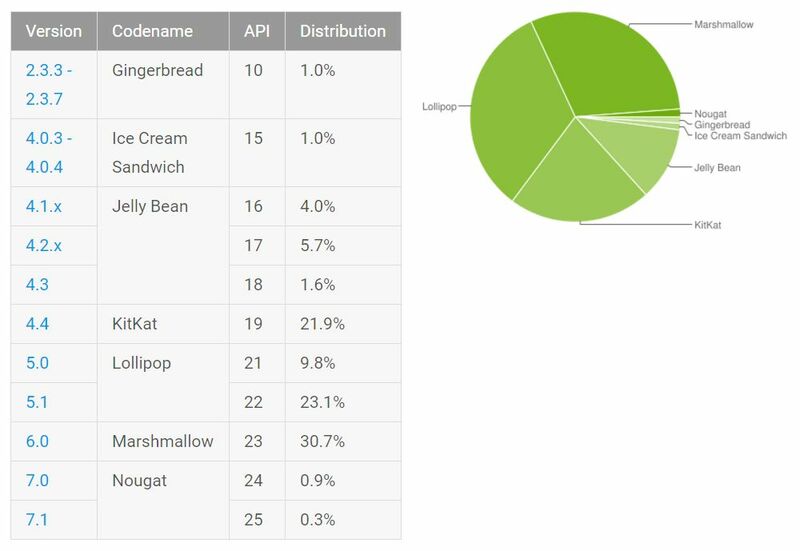 The last time we were updated on the platform distribution figures for Android, we were celebrating the death of Froyo and hoping similar fates were in store for Gingerbread, Ice Cream Sandwich, Jelly Bean, and well, you get the point. The numbers have been updated to reflect the two-week period ending February 6th, and there’s a big development this time: Nougat is now on 1.2% of all reported Android devices! We agree, 1.2% is pretty depressing, but we’ve just come to live with the reality by now. You want to check the numbers, you can view them here.